'Everyone knows the system is broken' Jump to media player President Obama has addressed the nation to outline some of the most sweeping changes to the US immigration system for decades. 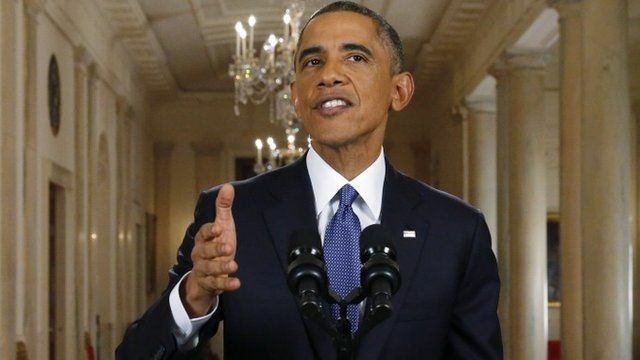 Obama 'wrong' on immigration reform Jump to media player Former US Commerce Secretary tells the BBC that President Barack Obama is doing the right things on immigration reform in the wrong way. President Obama has addressed the nation to outline some of the most sweeping changes to the US immigration system for decades. He said he will grant temporary legal status to some five million illegal immigrants, mostly parents of American citizens and permanent residents who had lived in the country for five years. To be eligible they'll have to pay taxes and have no criminal record. Mr Obama said: "Our immigration system is broken and everybody knows it."